Appearance (0-20): I’m typically not one for Connecticut wrappers, but the 601 White has an almost pristine look to it. It’s clean with only minor veins. Otherwise it has a very light sheen to the wrapper with a gold and white band. The one thing that is a little odd is that 601 has changed their banding a couple of times, so different iterations show different things. 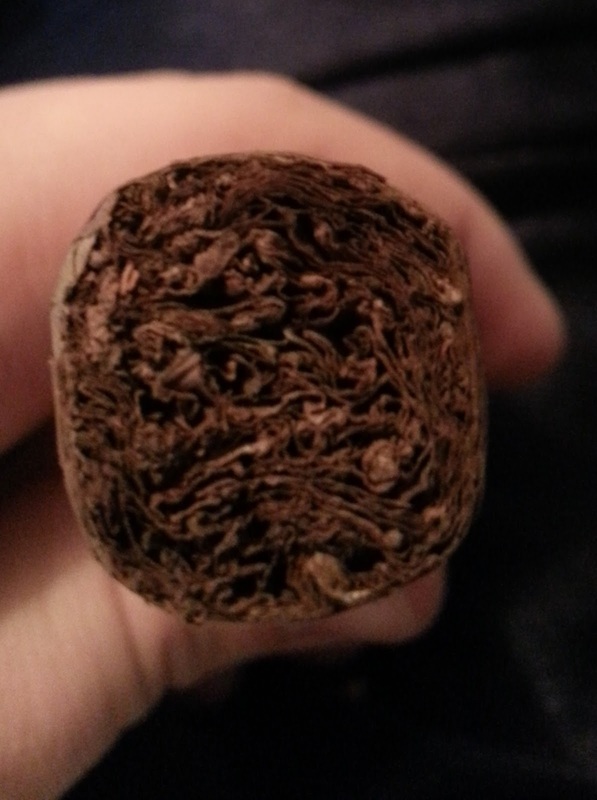 Construction (0-20): The tobacco in this was a bit spongey, but it was well packed. The cut showed a slight bit more excess than I would have liked, and the draw was a tad loose. 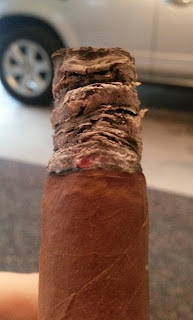 After lighting, the same issues still prevailed, but it was a very sooth smoke. Ashes held for 1.5” to 2” at a time, but it was rather flakey. Thankfully, the burn was as close to “razor sharp” as you are going to see without being 100% spot on. Strength (0-20): While listed as a mild to medium, I found the 601 White to actually stick closer to the mild realm. It does eventually make it to medium when you get to the last quarter of the smoke, but in large part it’s a straightforward mild punch. Flavor (0-20): From the first puff, the 601 White is extremely creamy with a slight peppery spice on the retrohale. It’s got elements that grant it some underlying woodsy tastes with additional light spice. But well… that’s it. There is a slight variance in the amount of pepper and the balance of sweetness through the rest of the smoke, but it sticks to the same exact flavor profile. Value (0-20): $6.50 – worth it? 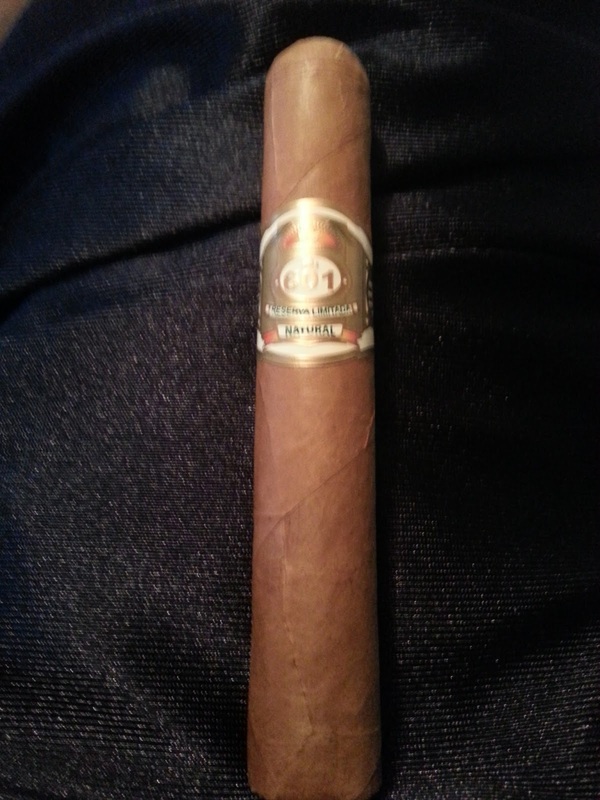 Not really for me, but if you are a fan of a mild creamy cigar, it may be for you. Not the worst price, and honestly, its comparable to some other things on the market with a similar taste and finish. Additional Notes: Paired with water at in my garage. 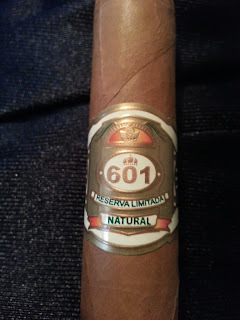 Overall (0-100): The 601 White has some nice positives to begin with – it’s got a very nice flavor, a good appearance and construction, and a manageable pricetag. Unfortunately for me at least, the flavor is really one dimensional and has very little complexity, if any at all. Mind you, it’s a solid cigar for someone who is just delving into cigars, or wants something mild. It’s also an easy smoker if you have had a few drinks and aren’t paying much attention to it, but if you’re looking for something with more power and different nuances, skip this one outright.